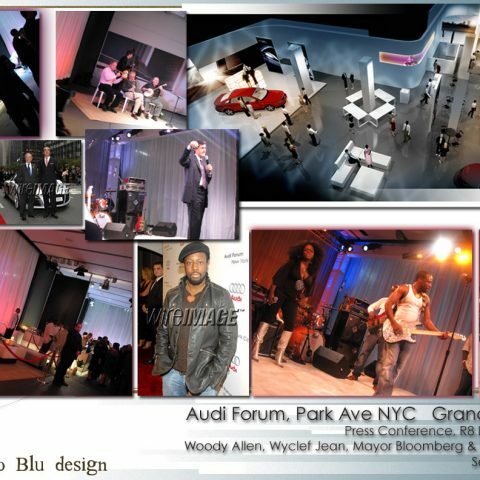 The grand opening of Audi’s new selling approach – showrooms that don’t sell vehicles – rolled out in several cities around the world. I designed the opening night launch and concert. It was in Manhattan, and featured a floor-to-ceiling glass façade on Park Avenue. 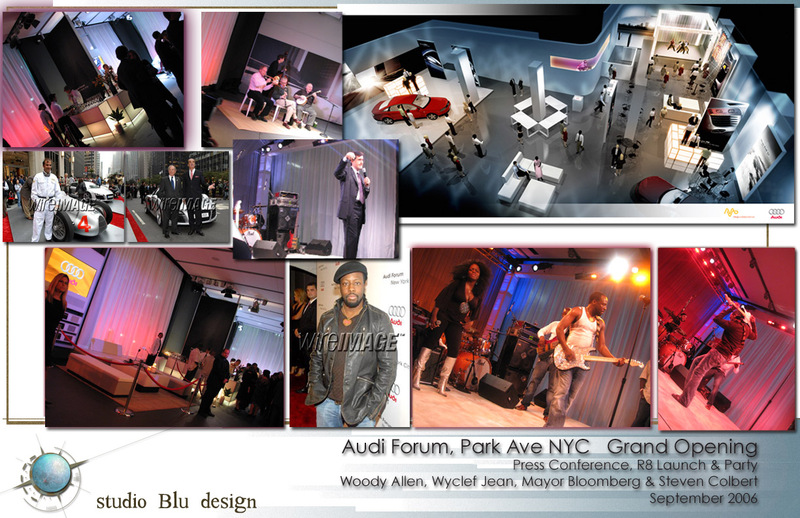 Entertainment included Woody Allen’s jazz band, Stephen Colbert, and a Wyclef concert.